Perhaps Gerry has 2 sets. Wasn't there kerfuffle when one set was posted on eBay and he withdrew them? The Discworld Stamp Collector on FaceBook Have a look! Inspired by Jesper's recent post, I've added the Newfoundland Airship Company to the Newfoundland page on Askme. Does anyone know what exact year (about 20 years ago) these "Gerald King - Newfoundland Airship Company" stamps were produced? ... and does have more information about them? ... I believe only 2 sets have been produced? This is very curious. The Newfoundland Airship Company stamps were produced in Cambridge, Massachusetts from 2004, I believe, by someone working at Harvard and with links to Newfoundland and Labrador, Canada. 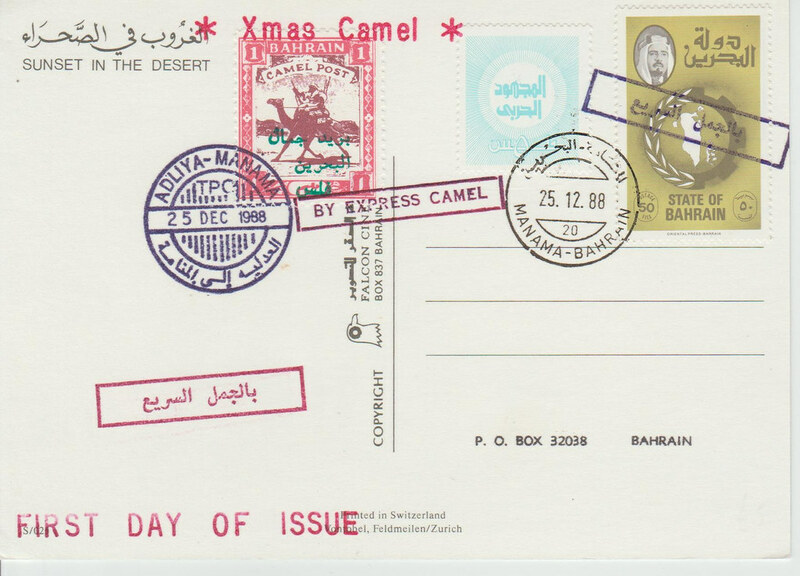 I have a few of the stamps, an essay, a cover and a boarding pass all lovingly created and I also have the top stamp of this set that you have featured. Most of the stamps have frames taken from the stamps of Newfoundland and feature airships and whaling vessels. On the reverse, they have the word Cinderella printed multiple times (early issues were stamped with the word 'faux' on the back). They were sold on eBay on an auction basis and I do not know in what quantity they were produced. Therefore, I do not believe that Gerald designed this set but were probably, as with his other Newfoundland set, copies. I haven't posted much recently but I'll try to show what I have in a separate thread. Perhaps Keith could also ask Gerry what the true background to these stamps might be? I shall ask nicely and report back. They could be fake cinderellas - Gerald would like that. 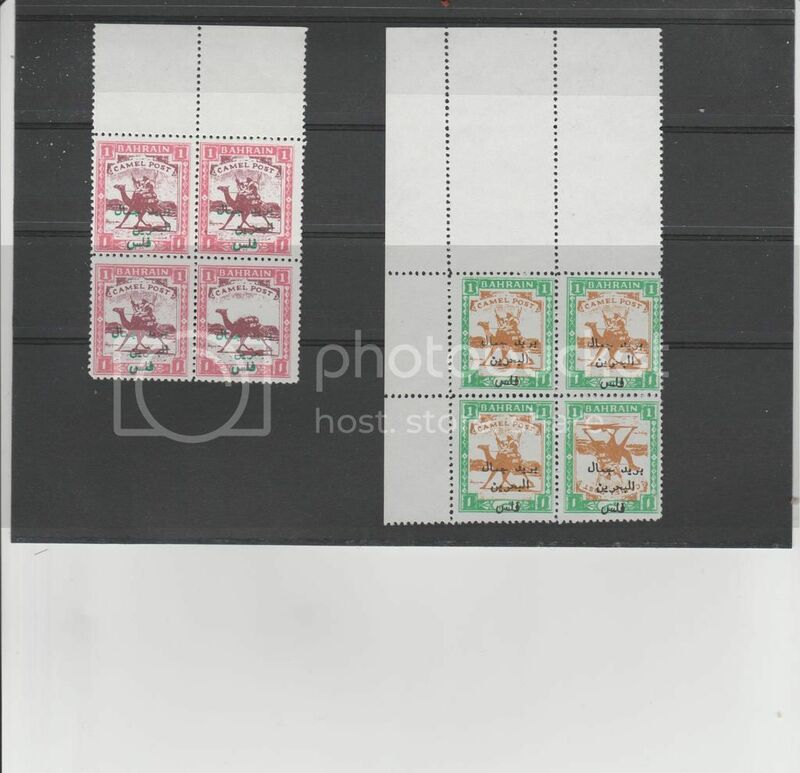 Images from a Google search suggest to me that the top stamp might be the original as described by Daniel and the other three are Gerald versions. I'll let you know. Gerry confirms my speculation that, having acquired the original Newfoundland Airship Company stamp, he "worked in the others" to produce the strip of 4. He was amazed the discover that the original stamp was issued in 2004 so all we now know is that the Gerry King versions were produced some time between 2004 and 2012 (ish). Can anyone throw any more light on the date? 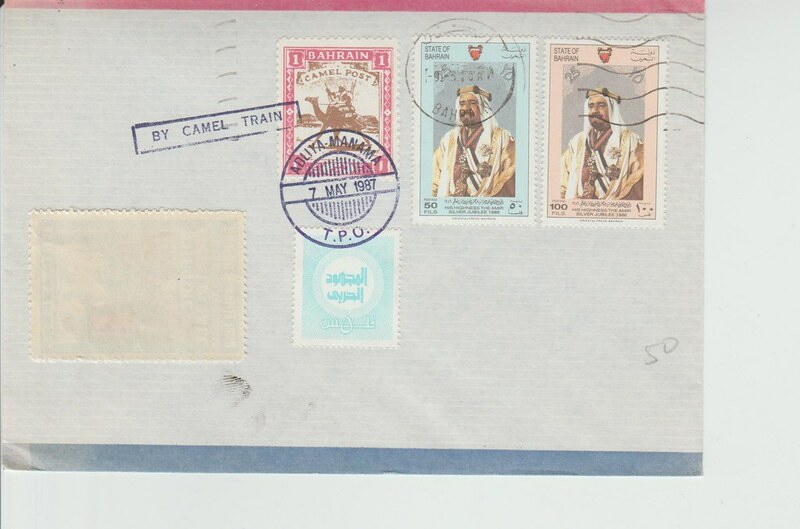 The envelope is addressed to a well-known Cinderella collector (blanked out to protect his privacy). I envy you the card and the envelope Daniel Well spotted too and I'm glad the website helped; I suspect there are not many of us who would have realised that these were Gerry King items - they must be as rare as hens' teeth. 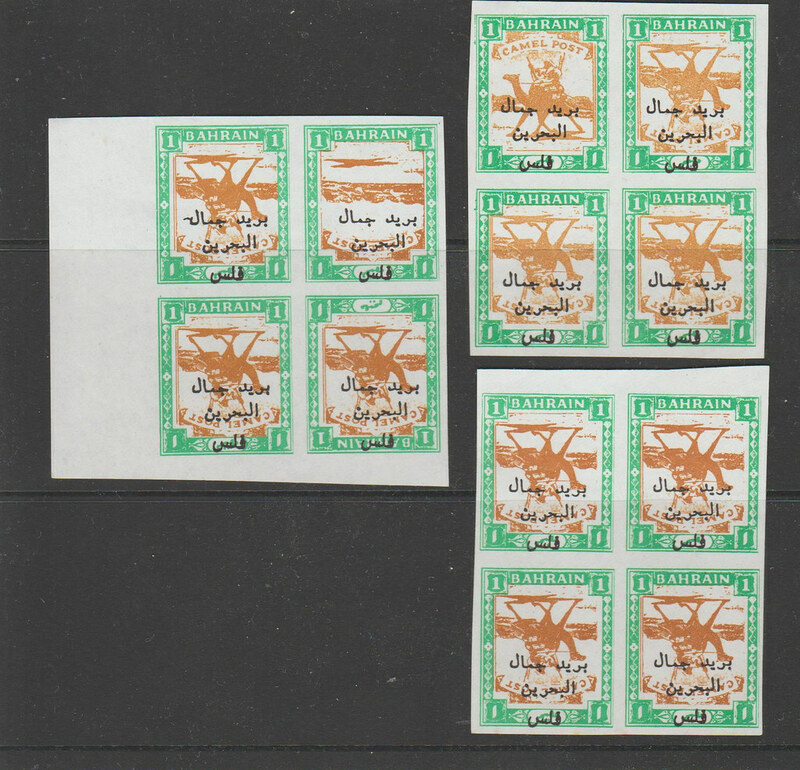 I came across a nice lot of Gerald's Bahrain Camel Post stamps, mainly the one with the green border, and including multiple imperforate blocks and singles. 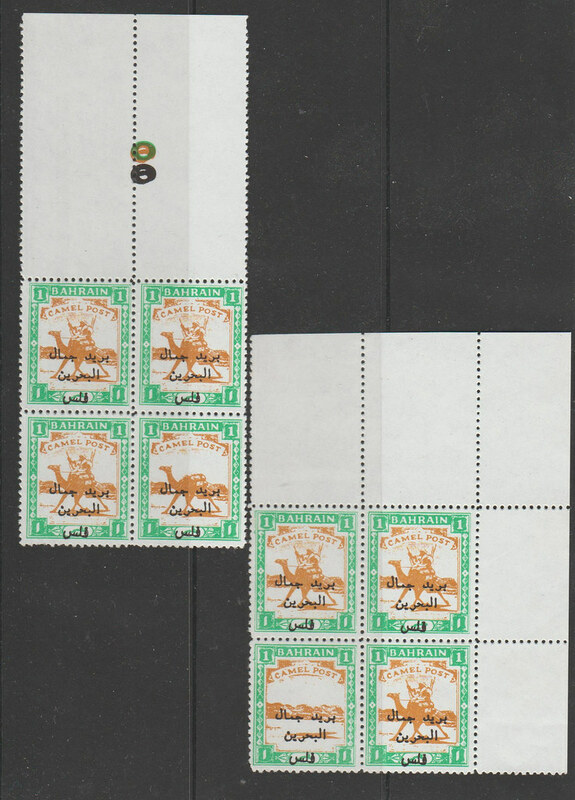 These imperforate versions all appear to be errors with the centre only inverted. 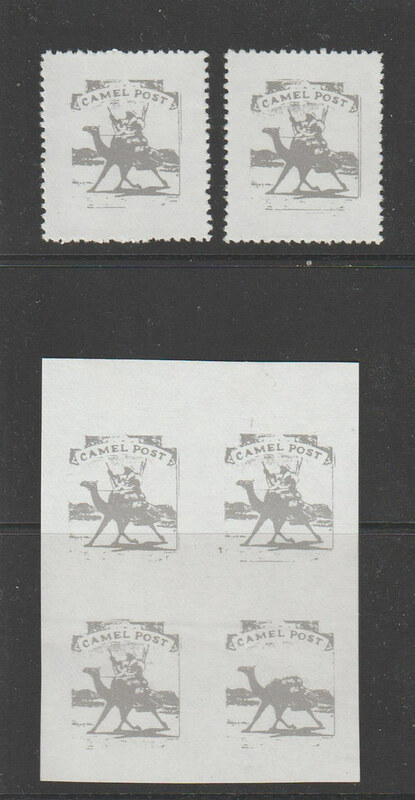 In addition there are proofs of the centre camel design, again, both perforated and imperforate. 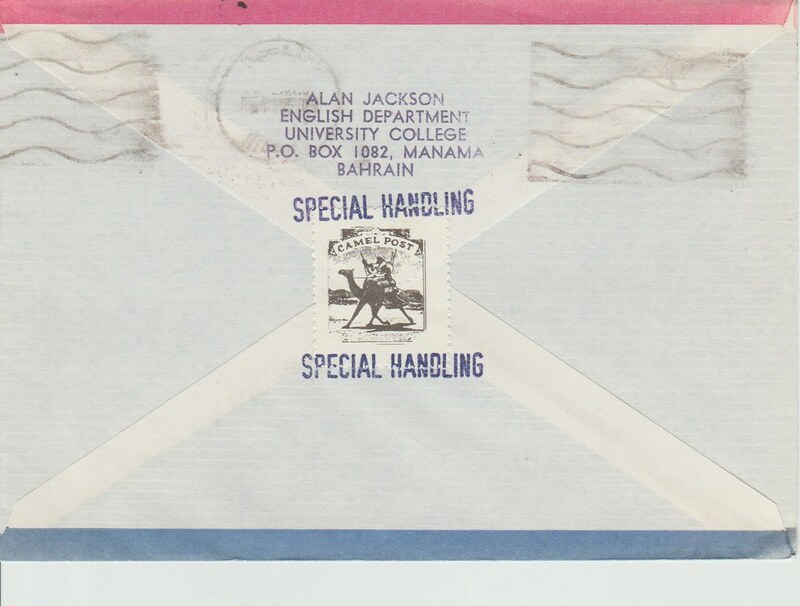 An example of this is shown on the reverse of the envelope shown above.